In spite of some possible hiccups on its road to 10,000 installed kiosks by the end of 2010, NCR’s Blockbuster Express continues to expand its footprint across the nation. Most recently, NCR has reached an agreement with BI-LO to install kiosks at all of the grocery chain’s 207 locations across the Southeast. The BB Express kiosks will replace “168 previously installed DVD kiosks from competing brands.” It is unclear if “competing brands” refers to Redbox or another kiosk operator. What sort of terms might NCR have offered to BI-LO to persuade them to dump their previous kiosk partner? For those of you who live near BI-LO stores, are you sad to see your Redboxes (or whatever brand the old kiosks are) be replaced by Blockbuster Express? The last of about 5 Bi-Lo stores in our area closed earlier this year. never heard of bi-lo, but I am curious to see when COX,etc. will lower thier prices ’cause u know its coming and when it does, goodbye ot kiosks ! If only cox could do it. Studios control digital pricing, not cable companies. Anyway vudu already beat them to punch with $2 pricing. Only thing is that it’s weak content. We still have BI-LOs in our town in Southeast Tennessee. They have had DVD kisoks for quite some time but they were NOT Redboxes. 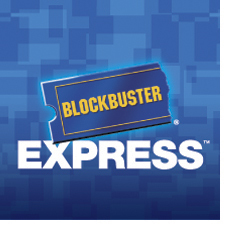 I foresee having a “Blockbuster Express” brand name helping boost their rental business over the current vendor . . . I’m sorry I cannot recall the name right now. I never used them. One of the two Blockbuster b&m stores in our area has already closed. The other one is not nearly as busy as it used to be. Bi-Lo in my area (Southeast Tennessee) has the DVDXpress brand of boxes that offer a nightly rental and also a monthly subscription program. I think that is the company that all of the Bi-Lo locations were with (http://www.mydvdxpress.net/). I think the Blockbuster Express kiosks will be a welcome upgrade (the DVDXpress selection was bad the and the user experience was kind of hokey). I wouldn’t get anything from BB if they offered it free! SOOO thrilled about bancruptcy and only hope the bad BB news continues! They did it to themselves, they bit the hands that fed them. All the Bi-Los in the Charlotte market also had the DVDXpress. Never tried one, so I can’t say how well they worked. I just rented for the first time from Blockbuster Express. I have to say, I liked DVD Express much better.